Blinn Online is a flexible, convenient, and affordable option that allows you to fit classes into your schedule no matter where you are. Whether you are looking for a particular course or want to earn your degree without ever stepping foot on campus, Blinn offers a diverse selection of online degree and certificate programs to fit your needs. 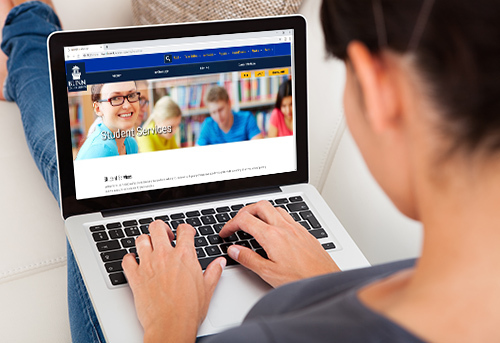 In addition to online degree and certificate programs, Blinn offers hundreds of courses that can be completed entirely online or in combination with traditional classroom instruction. Online courses are completed entirely online within a virtual classroom environment. In the course schedule, online course section numbers begin with "N."
Blended courses combine online learning with traditional classroom instruction. In the course schedule, blended (hybrid) course section numbers begin with "B." Sunday: 2 p.m.- 10 p.m.